Browse : Home SEO Why Using Infographics In Your Content Makes Sense? By doing so, you will be able to make optimum usage of information that is offered to you. In this regard, infographics have proved to play an important role. In this article, this is exactly what we will be highlighting. So, read on for better insight. Prior to understanding the subject better, let us understand what are infographics? These are basically an amalgamation of elements of analysis, designing, and written content that represents bulk data. It allows you to visually ascertain the information or data that has been offered to you. It helps you to understand the cluttered data or information that has been presented in bulk and needs to be segregated for better understanding. Statistical data reveals that over the years, the use of infographics has increased more than 250 times. 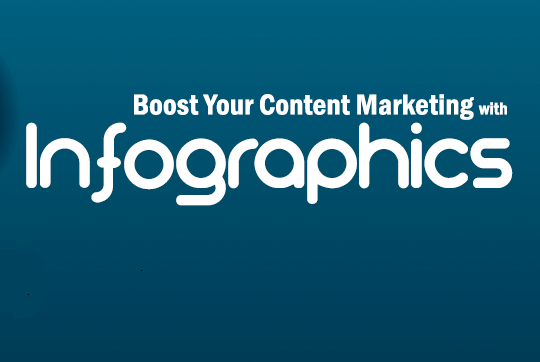 Why is including infographics crucial in content representation? Let us find out about the same. If you describe or represent your content with the help of facts and figures, it has a better impact on your audience. Also, it is believed that if information is represented in form of visuals, it is better retained in the minds of the audience. So, if you want to entice your audience with the information that you want to convey, design the layout in form of infographics. It has also been observed that with the help of graphical representation, the information is better scannable and readable and not only that it is better retained and registered by the brain as mentioned in the paragraph above. Owing to the attractiveness of the content, it has been observed that the content can be easily shared and becomes viral in no time on various social media platforms. This is in sharp contrast to the ordinary content that is textual in nature which receives less attention as compared to infographics. Infographic content can be easily shared or ‘clicked on’ and most importantly it drives more web traffic to your content page since it is enticing and draws more visitors and improved digital footfall within no time. If you assess it from the search engine optimization point of view, you will find that infographics laden content ranks better in SEO on search engine majors. Moreover, every webmaster will want to link to your website due to superior nature of your content to enhance their own visibility virtually. As such, chances of your website ranking higher are increased. It feeds the ‘Page Rank algorithm’ better. If you have infographic embedded with your company logo, it increases the visibility of your brand very soon. It has proved to be a powerful tool to reach out to your prospective audience thereby making aware of your brand virtually. Most importantly and last but not the least, infographics allows you to understand the subject better. Regardless of the topic the content is dealing with, it becomes easy to grasp the concept and delve deeper into the subject owing to the ease with which the subject can be understood due to the graphical representation of the topic.